Perfectly sized for two adults to sit comfortably side by side, the Hudson storage bench combines comfort and practicality. Featuring a 260 ltr under-seat storage compartment, this bench offers a low key, subtle place to keep garden items and accessories, such as cushions, blankets, children's outdoor toys or tools. 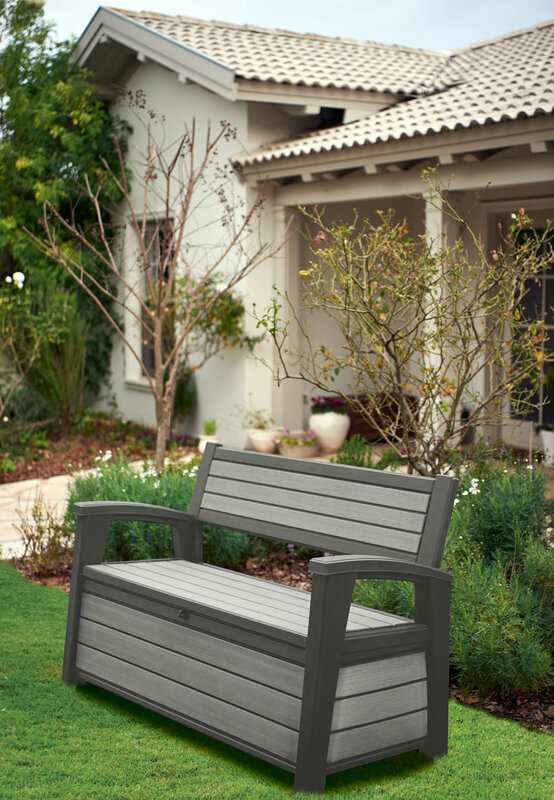 Designed to look like wood, this bench is actually made from a durable, weather resistant resin material, making it ideal for being kept outdoors all year round. 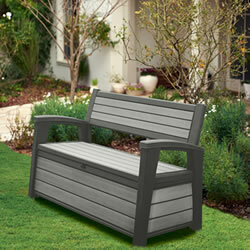 The storage box can be locked with a padlock (not included), providing further security for your garden items. Perfectly sized for two adults to sit comfortably side by side, the Hudson storage bench combines comfort and practicality. 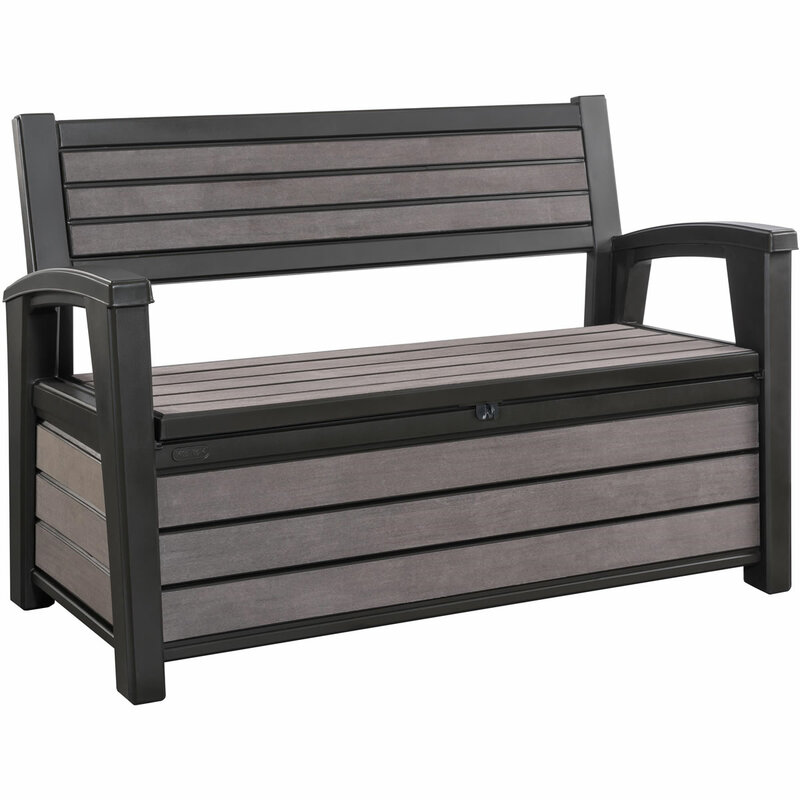 Featuring a 260 ltr under-seat storage compartment, this bench offers a low key, subtle place to keep garden items and accessories, such as cushions, blankets, children's outdoor toys or barbecue equipment.